Apache Tomcat is a open source web server for Java application of Apache Foundation like Apache HTTP server. It used for deploying Java Servlet and JSP applications. To deploy an application in Tomcat we can simply create a war file and deploy them. For more details about you can visit apache official site http://tomcat.apache.org/. This article will help you to install Tomcat 7 on CentOS/RHEL servers. We are using CentOS 7 and installing Apache tomcat 7.0.92. To read more about this release read Tomcat Release Notes. JAVA is the first requirement for Tomcat 7 installation. Make sure you have JAVA SE 7 or 8 version installed in your system. Currently, Java 9 does not support Tomcat. Use the following command to check if you have java installed already on your system. If you do not have java installed, Use another article to install Java 8 in Red Hat based systems. Download Apache Tomcat archive file from Apache tomcat official download page. You can use below wget command to download it. After competed download extract archive file in /tmp directory and move to proper location as per your need. We are placing this under /usr/local directory. Tomcat is very easy to use, There is no need to compile its source. You simply extract the archive and start the tomcat server. Tomcat by default start on port 8080, Make sure no other services are running on same port using ‘telnet localhost 8080’. Tomcat server works on port 8080 default. To access Tomcat on the web browser by connecting your server on port 8080. Finally we need to create user accounts to secure and access admin/manager pages. Edit conf/tomcat-users.xml file in your editor and paste inside <tomcat-users> </tomcat-users> tags. Finally, if you feel that there are no need of Tomcat in your system, You can simply stop it using below command from tomcat home directory. Or go to http://www.us.apache.org/dist/tomcat/ and find it yourself. Hello have really challenge, tried installing tomcat7 in centos7 and have failed. Hi Ejustine, What issue are you facing? Hello RAHUL K how are you ? ,so this comande give me a lot of ligne of Erreur . I never thought that tomcat will be easy like this. Great post. It just made my configuration quick & easy. Look like this link “http://www.us.apache.org/dist/tomcat/tomcat-7/v7.0.64/bin/apache-tomcat-7.0.64.tar.gz” needs to be updated. I was able to use the latest version though, thanks for the instruction. If I follow this guide and needed to uninstall tomcat, do i just delete the extracted tomcat folder? Yes, Just delete that folder. Today I had to do this, and your article was very useful. I am trying to stand up my application in Tomcat-7.0.54 and have followed all your instructions. The “shache” looks like I have a typo somewhere. But I’ve looked and don’t see one. I’ve followed the tutorial but once I try to run the new version of Tomcat, it shows following error. Thanks for the quick tutorial Rahul. It took all of 5 minutes to get Tomcat 7.0.56 up and running on my Centos 5.x system. How do you configure to start on reboot? You may use this script for start/stop tomcat with little changes. how I can to deploy a WAR archive Java web application into server with CentOS? Rahul, you have no clue how much this helped so far. I was struck a whole day figuring out why the way I had installed was not working. Atlast it did work for me perfectly. Thanks alot dude. Excellent article, Rahul. This helped very much in getting our Tomcat/Eclipse development environment up and running on our Linux servers. Good article. 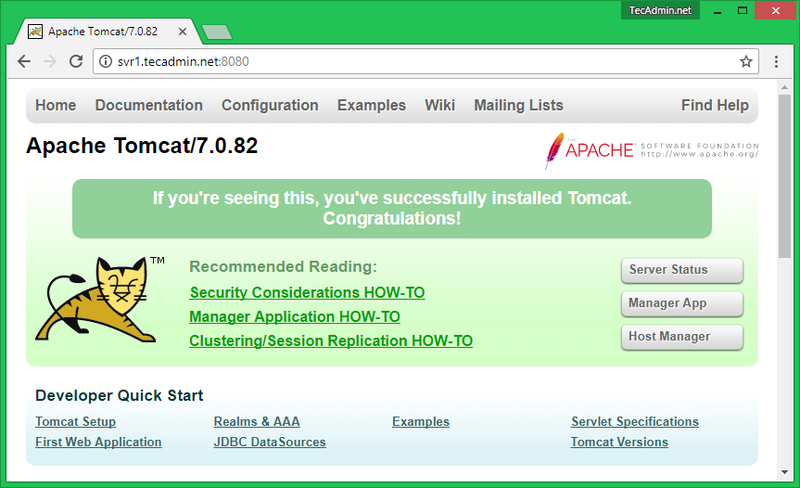 There are even more tips here on Tomcat installation and setup. Thank you so much for this article. This helped me a lot since I’m new to linux. 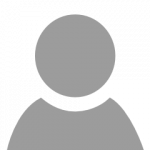 Do you have an article about running multiple instances of tomcat7 on CentOS 6? You can follow this link for running multiple instance on apache tomcat.